It's much safer to stay out of the post-Thanksgiving retail scrum and enjoy some great looking bicycles. Between gorgeous images of pre-fall mountain bike vistas and the details of resurrections and renovations which are contained within this batch, my hope is that you'll find some enjoyment and respite from the pending holiday craziness. Mixtes seem to be enjoying a bit of quiet resurgence. Appearing in more advertisements and articles to be sure, but it does seem as though I'm seeing them more frequently on my commute and locked up around town as they quietly go about their day being useful and stylish. 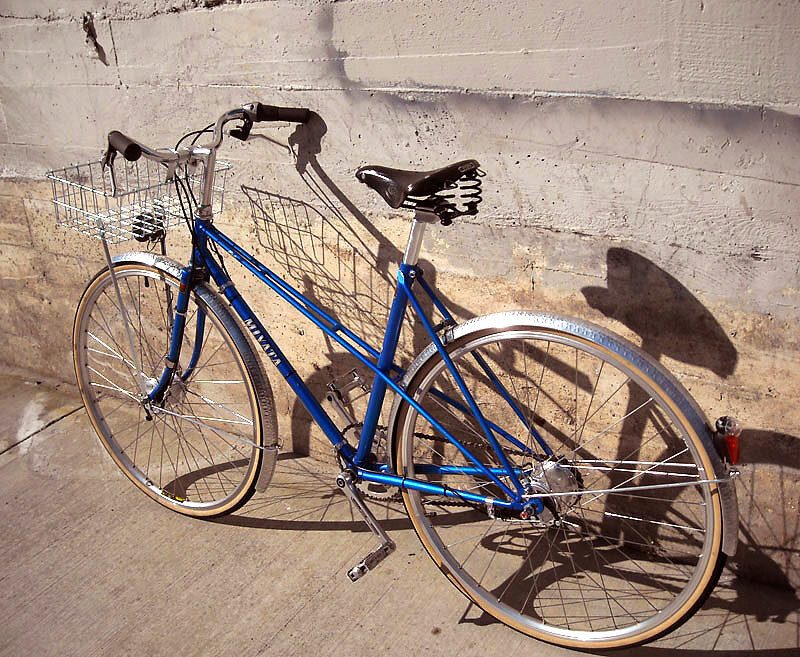 Starting with a well-rendered Miyata mixte frame, Eric has created a sure-footed, weather-resistant bicycle for real world use on the streets of Portland, OR. It's funny to consider how many features I would have poo-poo-ed a decade or so ago - basket, fenders, IGH (Internally Geared Hubset)... indeed, the very notion of a "drop-bar" bicycle itself. But, now, there it is, with just enough glimmer and glint from the silver fenders to catch your attention as it goes about its way each day.